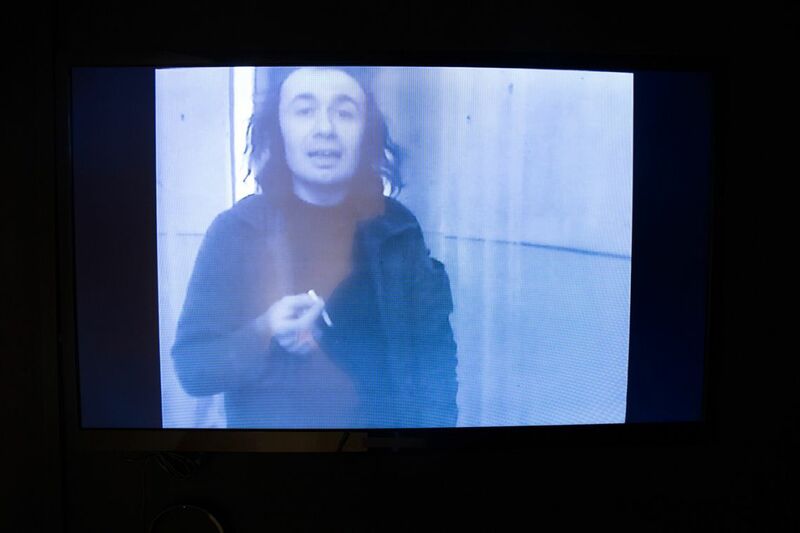 Vito Acconci, Indirect Approaches (1973). Exhibition view. Venice International Performance Art Week 2014. Photograph by Samanta Cinquini. Vito Acconci (1940-2017) was an American sculptor, architectural designer, video and performance artist. Having started his artistic career as a poet in the early 1960s, he moved towards making use of his own body as a subject and object for photography, film, video, and performance. His work often comments subversively and controversially on social issues. Defying the fragile limits between public and private spheres, especially in his early videotapes Acconci investigated interpersonal awareness and observation of the artist himself as well as of the viewer. The VENICE INTERNATIONAL PERFORMANCE ART WEEK shows the historical videotape Indirect Approaches, which has been produced in 1973 at Art/Tapes/22 in Florence, Italy. Acconci here experiments and questions the intimate connection and closeness with the viewer through the camera, by talking directly to the viewer while walking back and forth in the eye of the camera. The immaterial space of the video image filters into the real space inhabited by the watcher, likewise triggering a virtual negotiation between two subjects: the artist and the viewer. Physicality, psychology and the medium “media” are here elongated through a commonplace action.